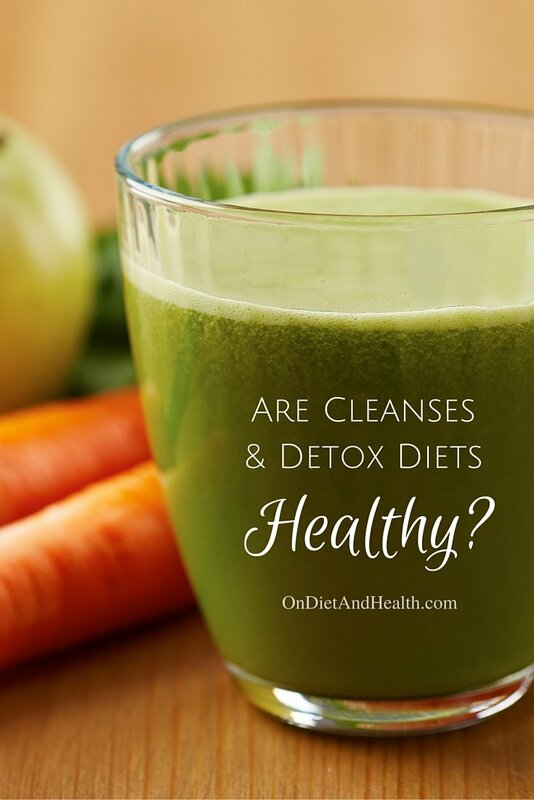 Are cleanses and detox diets healthy? What about juice fasting, elimination diets, laxative herbs or liver tonics? Are there benefits to a short term cleanse if your long-term lifestyle is not balanced? With dozens of companies offering pills, books, meal plans and advice, goal setting is your first priority. What exactly is your goal and is this just a short term thing? Do you really just wish to lose weight but still talk about it in terms of cleaning out your colon or toning the liver? Are you constipated and genuinely want to give your colon some help? Or believe the liver is not working right? 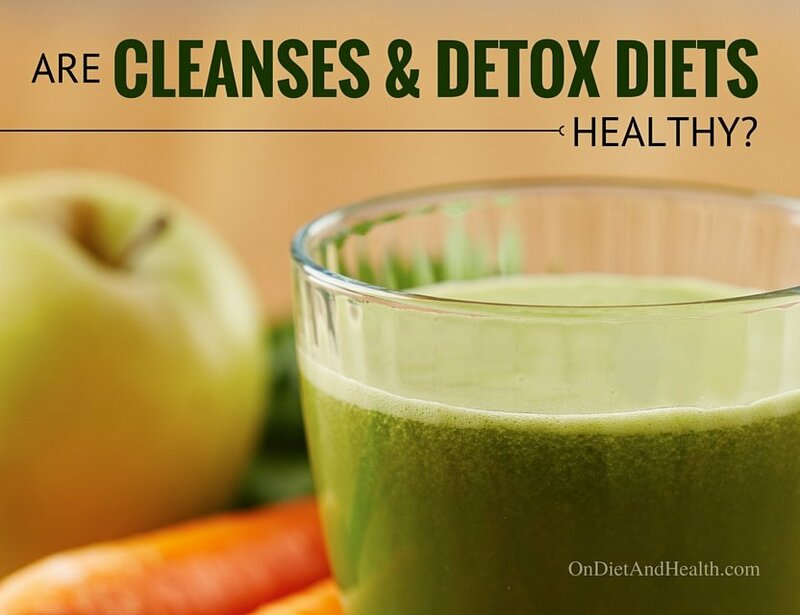 Are Juice Cleanses and Detox Diets Healthy? If you plan on permanent changes in your diet and lifestyle, you can’t do better than the free 30 day Whole 30 program to jump start the process. 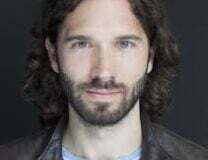 The Whole 30 founders offer detailed support on preparing and eating really clean food (without grains and sugars) and how to stick with the diet after 30 days. Another option, my own DVD (disc or download) is The Diet For Human Beings, and it will teach you what to eat and why. But I don’t have the wonderful group support system Whole 30 does. If your goal is to drop a few pounds by eating only sweetened lemon water and protein drinks for a week or two, then ask yourself what happens next? Most likely, hunger will drive you back to your old patterns soon. Is a short term radical approach a pattern for you, a way to avoid making permanent change? Or maybe you’re looking for yet another “official” term for just not eating enough, like “Intermittent Fasting“. 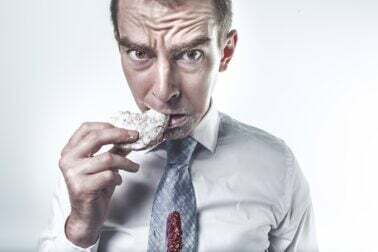 The body has its own detox system – use it! The human liver is an amazing organ. I’ve heard it described as a factory a mile long and a mile wide. It has hundreds of jobs and can manage them all IF you aren’t eating inflammatory foods suc h as grains, vegetable oils, sugars (including corn syrup and fructose) and junk food. Or getting chemicals and heavy metals in your body. The sad truth is that short term juice cleanses and detox diets will reduce your toxic food burden for a bit, but they won’t “fix” anything. In fact, juice cleansing is so hard on the adrenals that it can further exhaust them and create more blood sugar cycling. Learning to eat proteins, saturated fats and non-hydrogenated oils with tons of vegetables is what will give the liver a hand. You’ll get the nutrients the liver needs to do its own house-cleaning. 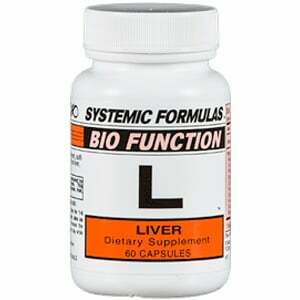 It’s OK to use this decades old L-Liver formula for a while to help the liver do its job while you’re making real changes. Consider adding the ROX Super Antioxidant with Resveratrol for extra support. If your bowels aren’t moving every day, you are constipated. Inadequate vegetables and the consumption of grains are the most common causes of constipation. Replace the bread, pasta, cereal, chips and cookies with vegetables. Paleo Smoothies without juice can be a great way to get low carb veggies, fiber and fats in a glass. I have 2 articles on Paleo Smoothies that don’t require recipes, and a podcast too. Read this one and this one and hear my podcast here. There’s no sweeteners or juices here and you eat these smoothies with a spoon, not a straw! If your gut is inflamed from dairy and wheat, you’re going to feel hugely better not eating these for a few weeks. 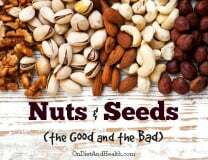 Inflammation reduces, antibodies calm down, the colon and liver work better, and most likely you’ll sleep better too. You don’t need fancy protein powders to do an Elimination Diet. Just go Paleo and consume high quality meats and seafoods, plenty of the right kinds of fat (such as ghee, coconut oil, olive oil, etc.) and eat 6 to 8 cups of cooked vegetables a day. This is the long term solution that also yields short term benefits. Here’s a podcast I recorded called “Exactly How Do I Change My Diet & Lifestyle”. Might be helpful…. You can use this proven colon formula to move the bowels short term but don’t depend on it for everyday use. My clients report improvements in dozens of mental and physical issues once the diet is clear of grains, dairy, sugars, processed foods and toxic white salt. 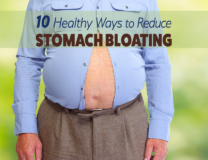 You’ll eat 3 or 4 hearty meals a day, won’t be hungry and will probably lose weight quickly! Benefits experienced: better sleep, reduced joint pain, clearer skin, less ADHD, improved emotional stability (fewer mood swings), no more heartburn, better bowel movements (less diarrhea and/or constipation), more regular menstrual cycles, lowered triglycerides and glucose, more energy and a happier frame of mind! Check out the download or disc of my DVD and see if it will help you. There’s no benefit to drinking lemon water and honey other than NOT eating grains, dairy and sugar. Save yourself from the hunger and anxiety and eat real food instead!